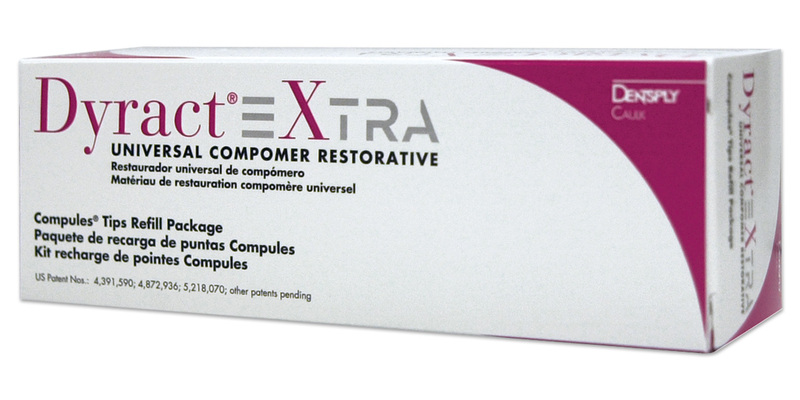 Universal light-cured compomer restorative with a less tacky handling property and extended working time for easier placement. Excellent wear resistance for longer lasting restorations. Shorter curing time for simple and fast procedures. For use in anterior or posterior restorations. Sustained fluoride release. Contains: 20 x 0.25g Compules tips.